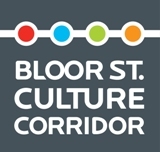 From the collection in the archive of The Japan Foundation, Toronto twelve short cultural documentary films will be screened in conjunction with Noh Masks Onstage: An Exhibition of Photographs by Yoshiaki Kanda. 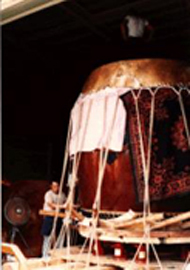 Wide range and variety of the tradition of taiko drums. 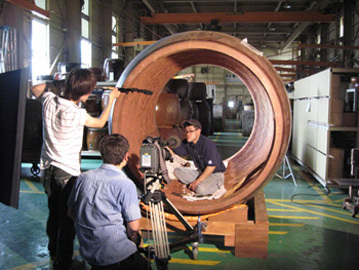 Asano Taiko Studio of Ishikawa prefecture produces a giant drum. 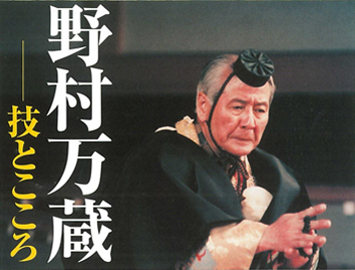 Kyōgen comedy is introduced in a program series in two parts. Physically and spiritually the most challenging piece of Kyōgen is Tsurigitsune (Fox Trapping). One of the most respected masters of our generation prepares for his last performance of the “Fox” in his career. 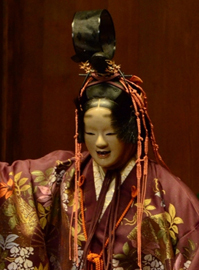 A masterpiece of Noh theatre is introduced from the viewpoint of masks in the performance by Kurōemon Katayama. Documentary about the living national treasure performer. Stage assistants on the Kabuki stage. 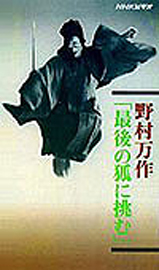 Juen Ichikawa’s devoted collaboration with Ennosuke III in Super Kabuki. 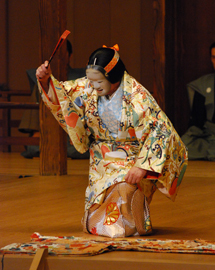 Dōjōji is the initiation piece for Noh actors to be accepted as a true professional. A masterpiece of Noh theatre is introduced from the viewpoint of the mask recreated by Yasuemon Hori.